Scientific studies and discoveries come about after a well-thought-out hypothesis and thoroughly conducted experiments that produce models and theories. Students may encounter countless models and theories of famous scientists who once aimed to explain the different phenomena. There may also be classes where teachers or professors ask the students to formulate their own model and/or theory to draw the difference between the two. The definitions of the two terms can be confusing. Students may come up with both models and theories after performing the step-by-step process of scientific methods; however, models and theories are produced in different periods and levels of the study. Models may be produced after the formulation of theories, but there can be instances where the models are produced before the theories. There can also be cases when models produce theories that in turn lead to the construction of another model for the verification of a theory. Note that one difference relies upon the fact that models are the basis of theories, while theories are the main basis for the explanation of different phenomena. Models come in the form of a verbal, visual, or mathematical representation of a prospect or scientific process of structure that should be followed by scientists in order to come up with theories and test inferences. They can then be formulated after conducting extensive observations of physical phenomena. When scientists have come up with a model showing structures of the scientific method, repeated experiments following the model will be conducted in order to come up with acceptable theories. In some instances, models can also be seen as an application of theories. They consist of a given group of boundary conditions that serve as a projected possibility based on the premises of a certain theory. When the behavior of the Eiffel Tower during an earthquake is being observed, for example, a computer simulation may show the possible movements based on what the Prandtl-Meyer stress-strain relationship theory implies. In this scenario, models result from what theories state instead of the other way around. The term “model” is used to refer to an abstract representation or a projection of possibility with an underlying theory as the basis. Models can also be defined as a physical representation of a theory. A scientist studying the behavior of ants in a colony, for example, can have set theories on how the ants gather and store food. Observation of ants in their natural habitat may be difficult, and he will feel the need to devise a physical model, which may take the form of an ant colony inside a glass box. As the scientist observes the behaviors of the devised model, theories can then be confirmed, rejected, restated, or changed. Physical models can, therefore, be a tool for the verification of the theory. Simply put, both a model and a theory state possibilities and provide explanations for natural phenomena. Models can be used in the formulation of experimental setups as the scientist performs the steps of the scientific method. They give structure for the formulation of theories. Models may also serve as the representation of possibilities with respect to the premises of theories; scientists can create simulations and formulate hypotheses modeled after the theories. In some cases, models can also be used to confirm a theory. They serve as the variable for experiments needed for the testing of the theory’s correctness. 1.Models and theories provide possible explanations for natural phenomena. 2.Models can serve as the structure for the step-by-step formulation of a theory. 3.Theories can be the basis for creating a model that shows the possibilities of the observed subjects. 4.Models can be used as a physical tool in the verification of theories. Celine. 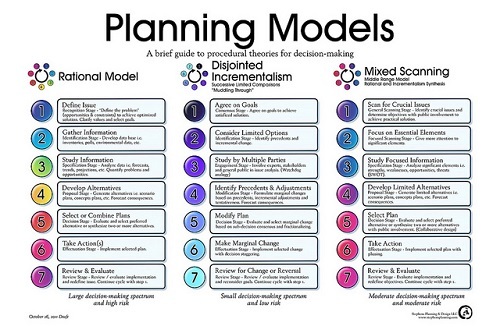 "Difference between Models and Theories." DifferenceBetween.net. July 18, 2017 < http://www.differencebetween.net/language/words-language/difference-between-models-and-theories/ >. The text is very confusing and contradictory, nobody will get the difference! 1) Theory: a coherent group of tested general propositions, commonly regarded as correct, that can be used as principles of explanation and prediction for a class of phenomena. Synonyms for “theory”: principle, law, doctrine. 2) Model: A verbal, mathematical, or visual representation of a scientific structure or process, which allows scientists to construct and test inferences and theories. I agree with you. I also found it confusing, non-helpful and almost annoyingly contradictory. I need further explanations on the difference of model and theory. the article is good but it luck the direct different between the two terms ;try to show it in such way that a reader can get the different openly.